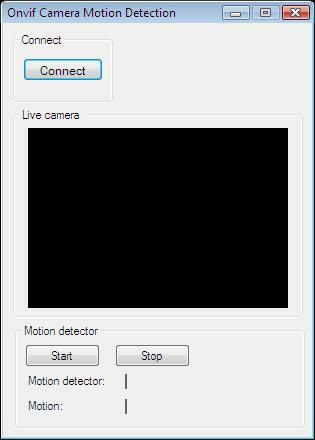 This example demonstrates how to create a viewer side motion detector for an Onvif camera in C#. To implement this example, you must have OZEKI Camera SDK installed, and a reference to OzekiSDK.dll should be added to your Visual Studio project. The following articles will present you how to start and stop a motion detector. With the motion detector of the OZEKI Camera SDK you can detect motions and handle alarms in many different ways. For example, you can take a snapshot or record a video that you are able to send as an e-mail or upload to an FTP server. Or if any motions have been detected you can make a VoIP phone call to an alarm center with the Text to Speech function. Now, you can implement further features, just like HighlightMotion, MotionColor properties, subscribing to MotionDetection events in order to get notified if motion has been detected by your camera device. Finally, you have to start your motion detector object as well.